43) Do I ever have a special treat for you! I recently noticed that one of our regular running routes is absolutely loaded with mailboxes, so for the next nine days I am presenting an exciting themed series of photos that will thrill young and old alike. Here we go! 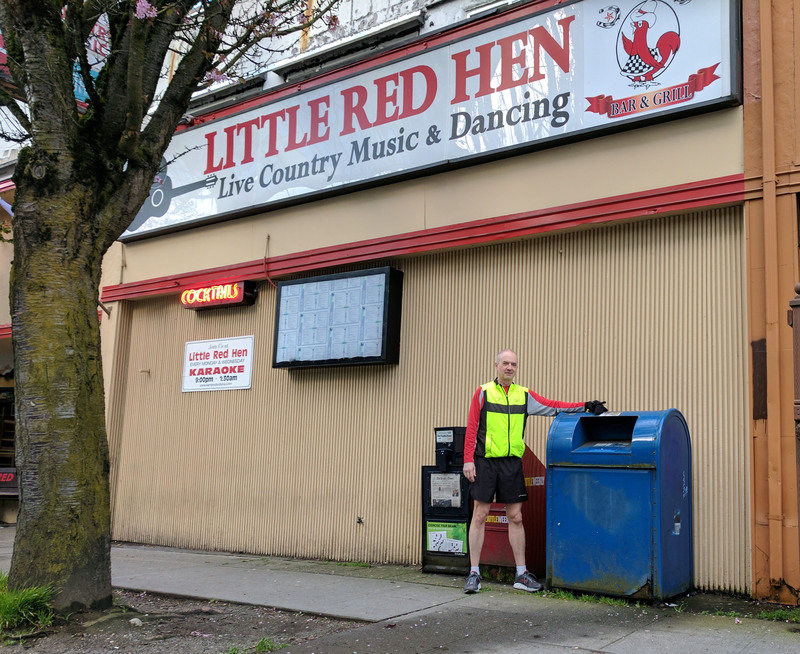 Running Series (1/9): The journey begins with a stop by the mailbox outside the Little Red Hen on the north end of Green Lake. For the longest time, the Hen was touted as the only country music bar within Seattle, and as far as I know it may still be. I bet this particular mailbox has seen more than its share of 2:00 a.m. shenanigans. Maybe it even saw what you did that one night you were stumbling along Woodlawn Ave N at NE 72nd Street.